The ancient Celts were an extremely spiritual people who found deep symbolism in even the most basic things. Like other spiritually-inclined groups, which is basically everyone at that time, they utilized mandalasto express their beliefs in a physical, artistic format. The Celtic people viewed these mandalas as a creative and tactile way to connect with their origins and ancestry. They used the mandala symbols to visualize their desires, imitate their visions, and ultimately enrich their culture and tradition. Mandalas offered the ancient Celts a way to focus, engaging their hearts and minds with the goal of becoming more keenly aware and achieving a sense of true enlightenment. In general, the mandalas were tools to open and enrich the mind. It allowed individuals to delve into the depths of their soul and regain a proper, healthy balance between internal thoughts and external behaviors. In doing so, the Celts believed that they could more accurately communicate with spirits and advance their intuition. The symbols that the Celts left with us via their artistic mandalas speak to us of their culture, beliefs, and history. Although there are many that can be studied and utilized (as with any culture), there are a select few that stand out most. 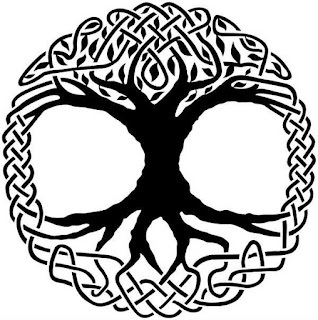 Perhaps one of the most iconic Celtic mandalas is the Tree of Life. Admiration and respect for trees was at the heart of every Celt, and these natural wonders were involved in a great deal of their ancient symbolism and tradition. Oak tree in particular was highly valued, as it once covered the isles in forest. The Druids held their lessons in the midst of Oak groves because the Celtic words for “wood” and “wisdom” were quite similar – something that they viewed as highly symbolic. In their eyes, all of the cosmos could be depicted in a single tree, where the roots grow deep, grounding it to nature, and the branches ascend toward the heavens. All good and all life were housed in this tree, as it facilitated the creation of the universe. In this light, the tree was the Mother, all nourish and all giving. The interlacing branches that are often depicted on this mandala signify the Celtic belief in the cyclical nature and continuity of life. 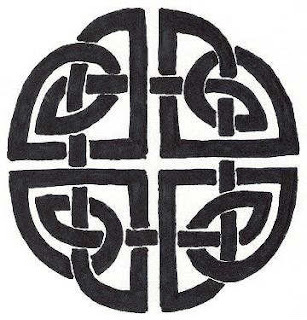 The Celtic knot is another famous symbol of this group’s history and culture. It is prevalent across various art forms because of its universality, with knots ranging from simple to complicated. The basic symbolic meaning associated with this knot is quite simple: interconnectedness. The Celts had a strong belief in the intertwining of life and eternity. By focusing on this mandala, people could follow its flow and make intuitive connections with their own journey through life. 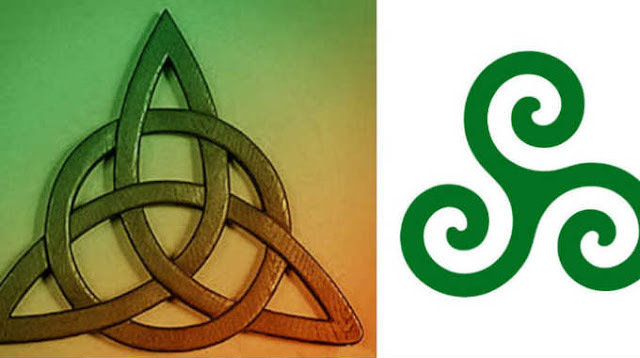 Furthermore, this Celtic symbol enforces the Celtic tradition of interconnectedness with one’s ancestors. Another archetypal mandala found in both ancient and modern Celtic culture is the Triquetra (or “three-cornered”) symbol. 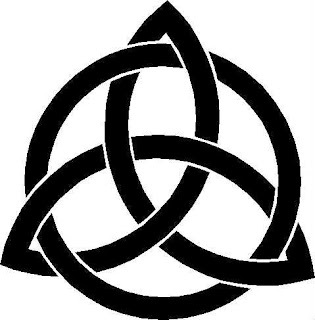 As the Celts were highly religious people, they used this symbol to signify the Holy Trinity. However, there are many interpretations for which trifecta or triangle of entities the Celts were honoring, no more or less correct than the others. Examples include: spirit, mind, and body; past, present, and future; creation, preservation, and destruction; mother, father, and child; and Father, Son, and Holy Ghost. Additionally, the seemingly never-ending lines could be representative of the infinite nature of life. The circle drawn around is also interpreted as a representative of the protection that the Divine provided its followers with- an unbreakable connection. By relaxing our minds and focusing on the multi-faceted Triquetra, we can enable ourselves to make our own deep spiritual connection with any of the three trifectas, channeling its powerful energy to enrich our lives. Lastly, we will look at the famous Celtic spiral, which is also used across various artistic avenues, even as a popular tattoo. This spiral depiction is often found amongst Celtic ruins, whether etched on rock walls, household items, or jewelry. However, it is not unique to ancient Celtic culture. In fact, it has been found all over the world. Spirals, in general, represent an expansion, as they become bigger and bigger the more that they flow outward. This is indicative of our natural inclination to expand our own minds, becoming more spiritually aware and focused on our surroundings. We are more than just physical bodies, and to not realize this would be a shameful waste of our gifts. By utilizing this mandala, we remind ourselves of the importance of growth and positivity. Just as the spiral continues outward, we, too, must continue to pass positive energy to others in the world. This post was republished from sunsigns.org. You can find the original post here. Do Cat Purrs Have Healing Abilities? What Spiritual Element Are You? 6 Signs You’re Arguing With A Psychopath.